This past week some of us had Monday off while other were working like any other day. 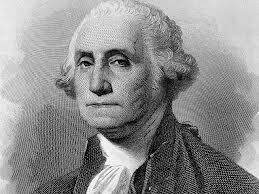 The third Monday of February each year is celebrated as Presidents’ Day in honor of George Washington’s Birthday and all the men who have served this country as our President. Even though this day is not a holiday everywhere it is important to take some time to recognize and honor the father of our country. I challenge you today to think about what life may have been like in the 1700s and how Washington would have lived. How does history play a role into current day society and our work in higher education? Statue of Lieutenant General George Washington in Washington, D.C. The nation’s capital, Washington D.C.
George Washington was the only president who did not live in Washington, D.C. Joined the British Royal Navy at the age of 14. Also, Washington in comparison to other presidents in today’s dollar he would be worth around 500,000 and the riches president.